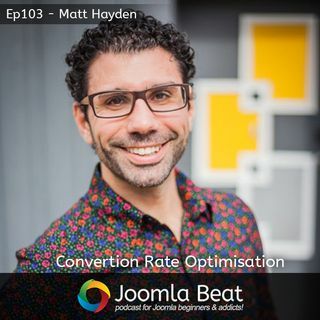 Matt Hayden from Conversion Kings joins be on the podcast to talk about on page optimisation with conversion rate optimisation. Matt runs an agency based in Brisbane, Australia that specialises in just that. Matt shares how he has grown his agency over the years concentrating purely on CRO. Matt shares a few secrets in regards to what CRO is and a few techniques that can help your website grow. Matt uses a tool called Optimizely, something that his agency is a 3 star partner of and the only ... See More one in Australia to hold that title.